couldn’t be buried, that it finds the means to claw its way out. The protagonist of the novel is Ichmad Hamid and the story revolves around him and his family. Author has depicted his life, his struggle against a tyrannical rule, his patience, courage, determination, killing instinct and the ability to win against all odds and adverse situation in a very realistic way. His story is a source of inspiration for all those people who are let down by the problems and hardships of life. The novel opens with a mischievous child playful act leading to her painful death which affects the whole family. In this way the beginning of the novel has a very painful and pathetic scene. Ichmad had a happy life with his parents, brothers and sisters till the age of seven. They owned a big house with a beautiful garden where his mother has planted colourful flowers whose smells surrounded the atmosphere when wind blew. But one day more than dozen soldiers came and took away everything from them. They fenced their land and home with barbed wire and they were forced to leave their ancestral place. After the loss of their possession they started living in a mud-brick hut that was smaller than their chicken coop but it was their fate to live in there. His father was once very rich and owned Oranges grove which was owned by his family from generations. He was able to sold his oranges in the entire Middle-East and Europe but after the invader came, he was not allowed to sell it outside the village and his market shrank to just some thousand villagers. From a young age, Ichmad was very diffirent from the other boys of his village. His brother Abbas was very social and had many friends but he was not like him. Abbas and other boys of the village idolised Jamal Abdul Nasser, Egyptian President, who stood openly against Israel and was championing Arab nationalism and Palestinian cause. He was a hero for them but for Ichmad, it was Albert Einstein, the great scientist. His brother, Abbas always played games and running outside with his friends all the day but he was a reader, a thinker and didn’t compete with the athleticism of his brother. His father worked in construction, building houses for the Jewish settlers, which was not liked by the people of their village. Many of them refused to build houses for the Jews on the razed Palestinian villages and others because of Israeli policy of ‘Hebrew labour’: Jews only hired Jews. Many boys at school use to say bad things about his father working for the Jews. After his father was sent to prison, he had a very hard and rigorous life. Being the eldest son of the family it was his duty to work for their livelihood. His brother, Abbas also joined him in his hardship and they both worked very hard to survive. And this struggle of the protagonist and his brother, Abbas is depicted by the author in a very pathetic that anybody who reads the book will feel compassionate for them. Though Abbas helped his brother in his struggle, but a time came when he left him, it was so because he decided to marry Nora, a Jew. Being a Jew she was fully concerned about the sufferings of the Palestinian people as she was true humanist. It was this quality of her that inspired Ichmad to marry her. She sacrificed her life in saving Ichmad’s house from being bulldozed by the Israeli army. Although sufferings so much in the hands of Jews, still his father didn’t have a bad opinion about them and this was the foundation which made the character of Ichmad. He learned the lesson of peace, equality and humanity from his father which served to make him a good human being. Throughout his life, Ichmad worked together with his Jews friends and teacher irrespective of the conflict existing in his part of the world. And the result was that he won the Noble prize for Physics with his teacher Professor Sharon. During the novel Ichmad marries two women: Nora, a Jew from America, and after her murder, Yasmine, who comes from his village and he weds in an arranged marriage, even though he is still mourning his murdered Jewish wife. Over time the protagonist not only falls in love with his Palestinian wife, but also sees her greatness. Michelle has adopted a humanistic approach to the Israeli-Palestinian problem as though being a Jew; she has depicted the sufferings of the Palestinian people and the atrocities committed by the Jews in the novel. This is what, Taslima Nasreen says: ‘let humanism be the other name of religion.’ So one thing is clear that anybody who believes in humanity and justice will support the Palestinian issue irrespective of caste and religion and that is what Michelle has proved. 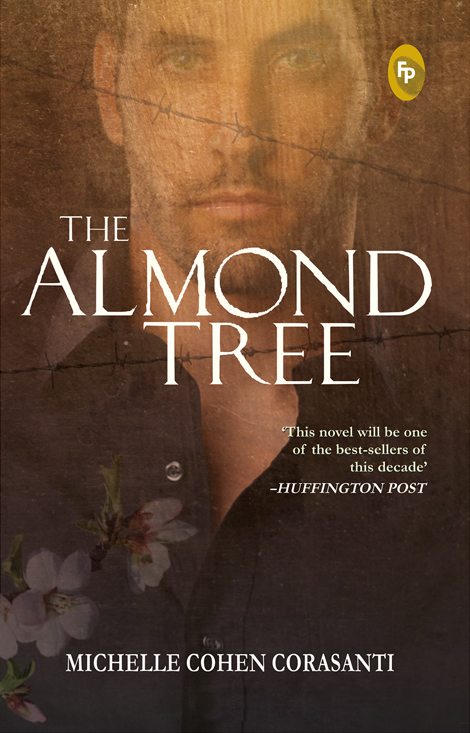 The Almond Tree is a heart-touching, powerful and honest story which shows the unbiased attitude of the writer. It is an inspiring description of human sufferings and perseverance. People have highly praised her characterization of Ahmed Hamid and believed that she has transported the readers in to the life of a Palestinian Arab so much without any efforts that anyone can relate himself/herself to him. One special quality of the novel is that Corasanti has used an Almond tree as a witness to the whole story of Ichmad Hamid. The novel, The Almond Tree is a semi-historic novel based on humanistic approach proving that friendship can exist beyond ethnic rivalry. Through the novel, Corasanti has proved that friendship can exist between Palestinian and Jews they can live peacefully for the progress and development of their region and by sorting out their problem and working for the upliftment of humanity. The novel further proves that any person from the third world countries like Palestine can adjust in the Western society like United States of American and can work like an American does. While United States is considered as a Superpower which can overthrow any country in the world, the novel had tried to depict the liberal side which means the crossing away of ethnic boundaries and the depiction of the multi-ethnic society and the freedom of expression which the country offers. It is obvious that Literature is a medium through which one can promote cultural diversity and racial integration in terms of variety of human societies or culture releasing humanity from racial as well as ethnic bondages and can restore peace and universal integration and this is proved by the great literary and culturally rich work like The Almond Tree. “Humanity is greater than any religion in the world.” This is proved by Michelle Cohen Corasanti, through her novel, who though being a Jewish has reflected the sufferings of Palestinians in her novel, The Almond Tree. Not only can this she has also depicted that there can be friendship beyond ethnic rivalry. Corasanti, Michelle Cohen. 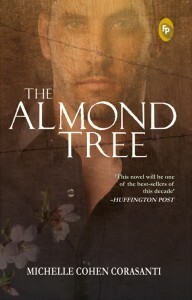 The Almond Tree, UK, Garnet Publishing, 2012.